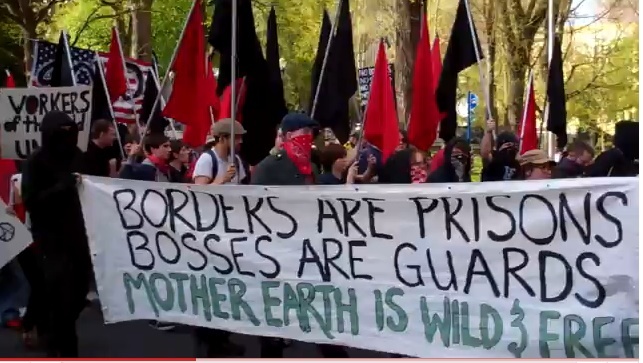 It would be comforting to believe that the PSU International Socialists Organization worked independently from the Anarchists at the hateful April 15th Leftist counter protest to the TEA Party. The videos from the counter protest which show racism, homophobia, and even death threats against the TEA party can be viewed here. But the two groups did not work independently. Indeed, at least one anarchist met with the ISO at Smith Hall, on PSU Campus, the night before the Tax Day TEA Party. The counter protest was discussed at the meeting. 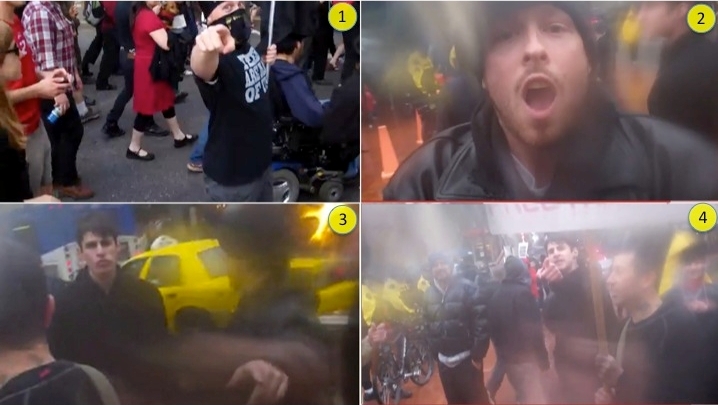 Additionally, a follow-up analysis of the video evidence clearly shows the PSU ISO collaborated with anarchists to disrupt the TEA Party. In the picture above the anarchist is shown both masked and unmasked. The masked photo is from the Anarchists May Day march in downtown Portland. 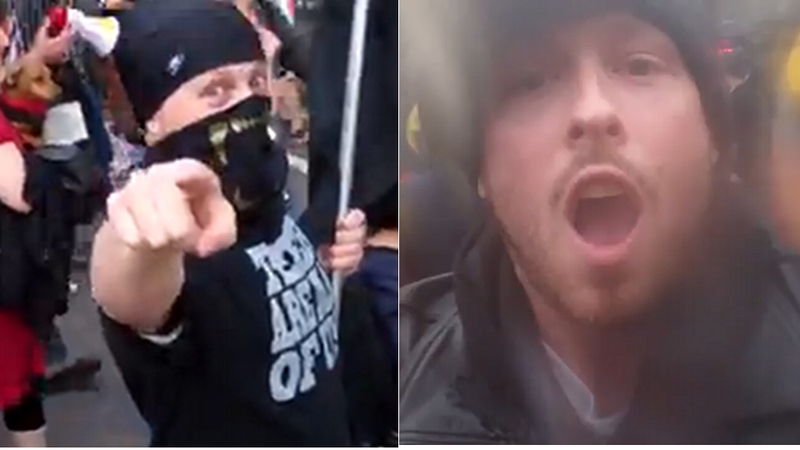 On May Day he verbally assaults the videographer using this language: “I remember him he’s confused, your confused!” The same person participated in the hate filled leftist protest to the TEA party on April 15th, where the photo on the right was taken. This time he is without his mask. 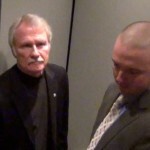 Here he verbally assaults the videographer using almost identical vernacular: “ISO meetings is not for tea baggers. Are your confused? Are you confused?” The videographer is certain it is the same person. So the person has been definitely identified as an anarchist. His name for the time being remains unspecified. According to a reliable anonymous source, this is the same individual who met with the ISO leadership at PSU the night before Tax Day. Both Neil Thomas, President of the ISO, and Adam Sanchez, also a leader in the International Socialists Organization were present at the meeting. According to the source, Sanchez took copious notes, which might include an attendance roster. The TEA Party counter protest was discussed at the meeting. Were the tactics of racism, homophobia, and illegal use of air horns (for example) discussed? That is not known. 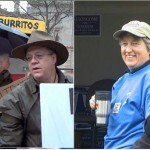 But what is know is that Neil Thomas, head of the PSU ISO can clearly be seen in the videos collaborating with the same Anarchist the day of the TEA Party. 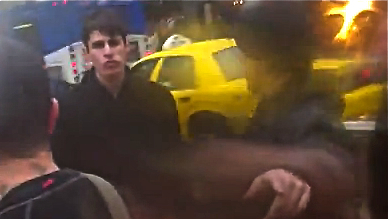 In the video the Anarchist recommends that Thomas ban the videographer/citizen journalist from future ISO meetings. 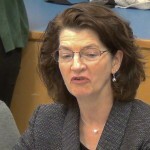 Acting on this recommendation, Thomas responds: ““Yeah we know who to kick out of our meetings now a$$hole.” So it’s clear that the PSU International Socialists Organization was collaborating with the anarchists. How often and in what capacity is as yet unknown. the Tax Day TEA Party. “F- the Police…” Masked Anarchists, including the subject of this article, march in downtown Portland on May Day. 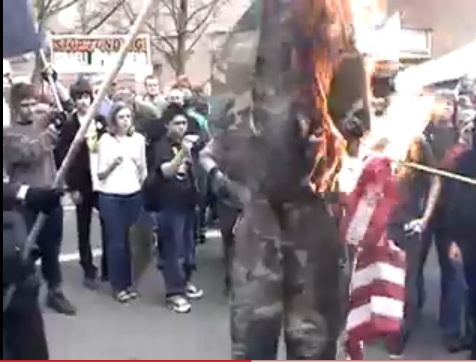 “Build a bonfire,build a bonfire throw the soldiers on top …” Portland Anarchists burn an effigy of an American Soldier and an American Flag on March 18th, 2007. YouTube video linked here. 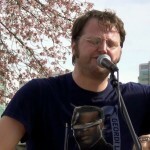 The Anarchists worked with the PSU ISO to disrupt the 2011 Tax Day TEA Party. A sad commentary on what these individuals have to say regarding the sacrafices made by the men that have fought for them to be able to express such vile and contempt.